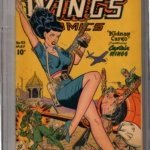 Today (Sunday, October 21, 2018) is marked by D.C. Comics as the Day of Wonder: Wonder Woman’s birthday that now makes her officially 77 years old. A perfect time to post my copy of Wonder Woman #7. 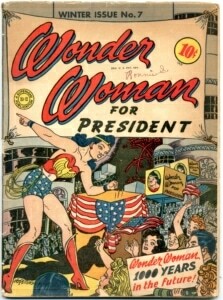 The classic “Wonder Woman for President” cover went on sale to the public November 13th, 1943. 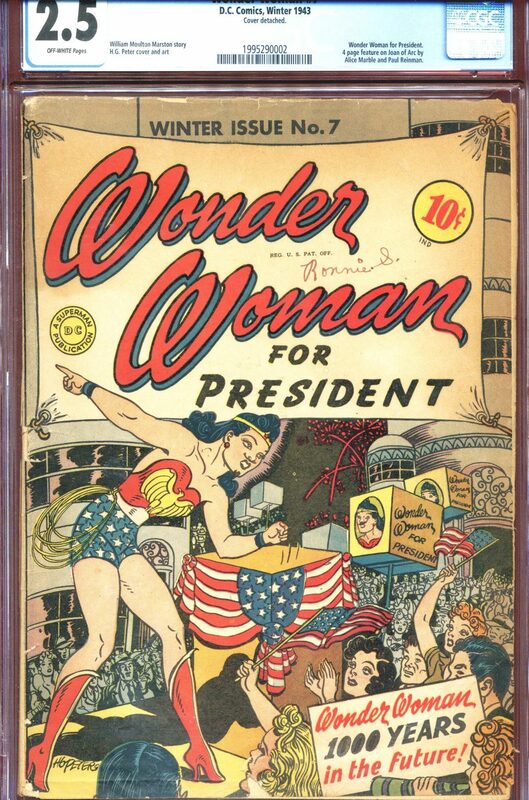 I’ve written about how Wonder Woman is the sole surviving female superhero of the early Golden Age and about the stark contrast between Wonder Woman’s real life psychologist creator and his contemporary psychologist anti-comic crusader. 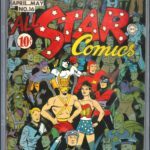 I’ve also written about how Wonder Woman stood behind fellow Justice League member Hawkman during his May 1943 “We are ALL Americans speech” in All Star Comics #16. 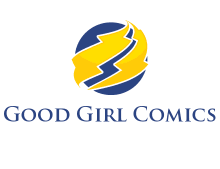 Being a founding member of the Justice League and honing her speech writing skills apprenticing under Hawkman no doubt formed a solid base from which to launch a run for the nation’s highest office. Being “beautiful as Aphrodite, wise as Athena, strong as Hercules, and swift as Hermes” probably didn’t hurt the campaign either! 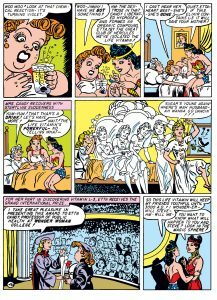 As the story goes, Diana “Princess of the Amazons” aka Wonder Woman visited Paradise Island to participate in the annual harvest festival. 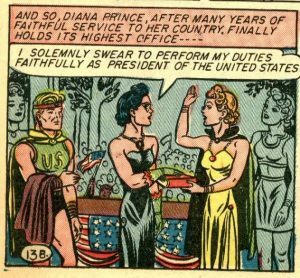 During the event, Princess Diana of Themyscira, Daughter of Hippolyta (aka Wonder Woman) is shown the future through the Magic Sphere by her mother. What she sees is the United States of America in 3000 A.D. 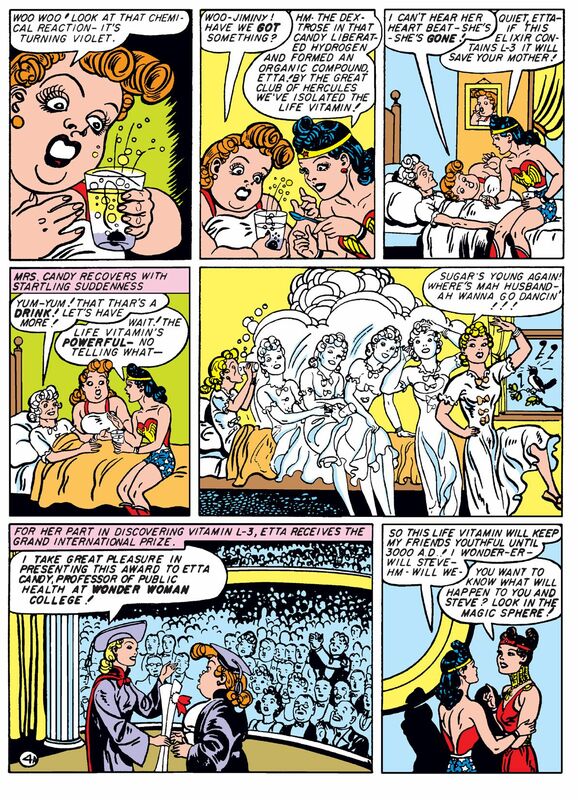 In that future, the “L-3” vitamin invented by character Etta Candy back in the 20th century allowed people to stop aging after their mid-thirties. 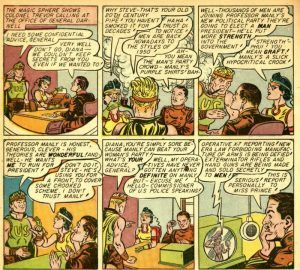 This conveniently facilitated the survival of Wonder Woman’s boyfriend Steven Rockwell Trevor (aka Steve) all the way to the year 3000. 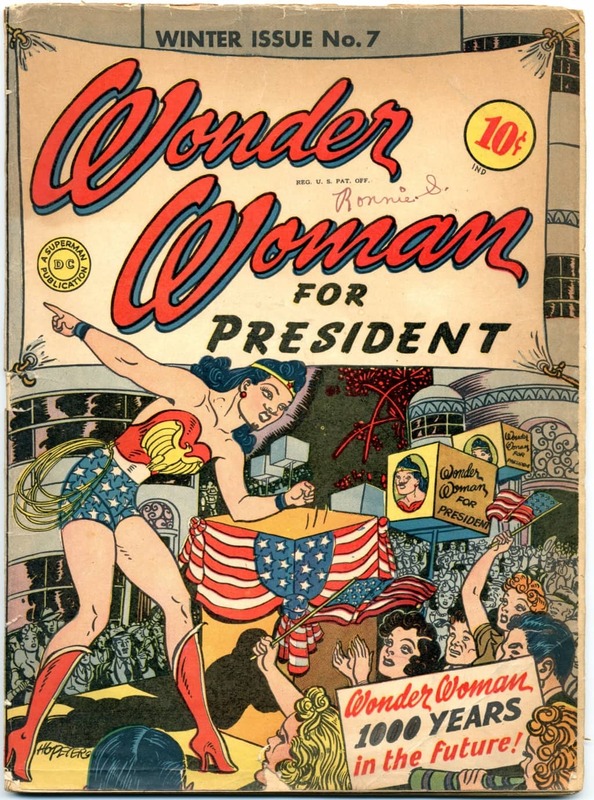 By that time, the United States of America had elected its first female President, Arda Moore. Under her successful leadership, the country routed out government corruption and jailed an evil politician aptly named Grafton Patronage. Despite the country’s flourishing prosperity and technological advancements political opposition still reared its ugly head in the form of Patronage’s Man’s World Party. Soon, Patronage led a prison rebellion and managed to capture Diana and Steve – successfully using them as hostages to get at President Moore. Diana was able to change into Wonder Woman and escape. 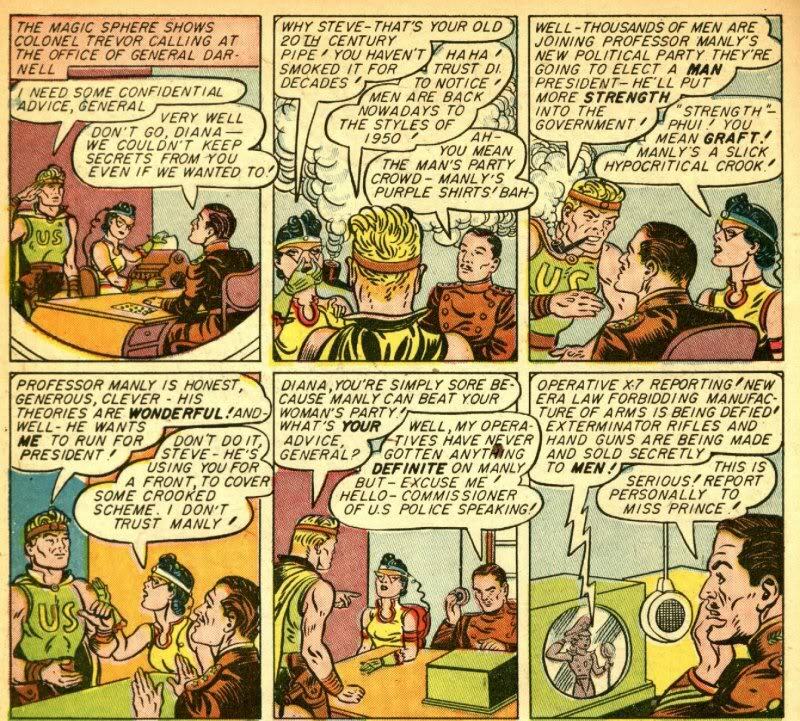 Along with Etta, the pair slipped a L-3 antidote into the prison’s water supply and, once drunken, immediately aged the rebellious Patronage and his conspirators to ashes. 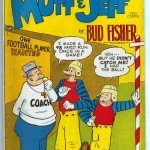 With President Moore freed things could continue on happily – that is at least until the next election cycle. Steve himself is nominated to run against President Moore in 3004. Having succumbed to the cunning and conning of Vice Presidential candidate Professor Manly, Steve joins the Man’s World Party. 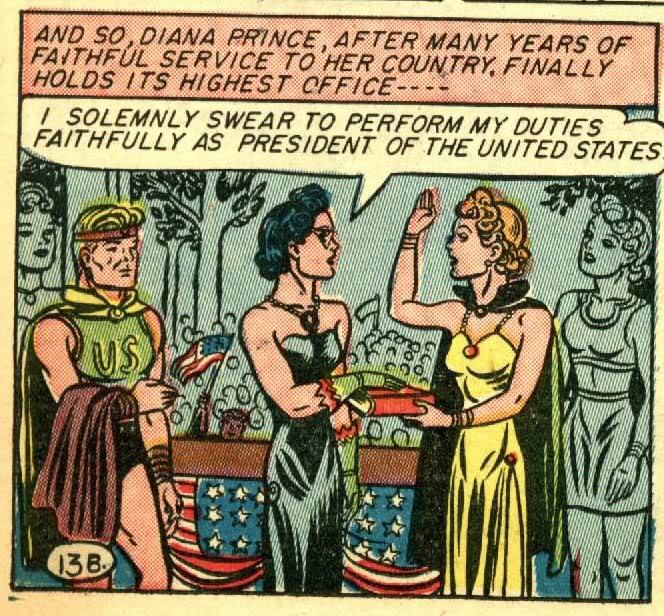 When President Moore refuses to run again, Diana joins with Etta to win the Women’s Party nomination for President and Vice President respectively. Both parties launch vigorous campaigns, but on election night Professor Manly colludes with malevolent associates to rig the election – forging a win for the Man’s World Party. Steve realizes he is an illegitimate President and refuses to be complicit in the corrupt scheme. Professor Manly promptly has Steve “done away with” and assumes the role of President. 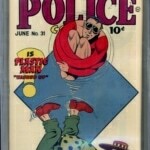 As Wonder Woman, Diana infiltrates the headquarters of the Man’s World Party where the Professor is keeping Steve in hiding. In the ensuing battle involving freezing chemicals Steve is saved. 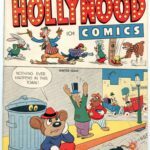 Manly’s crimes are exposed, Steve’s transgressions are forgiven and Wonder Woman is dutifully sworn in as the rightful President of the United States. Pictured below are some of my Wonder Woman comics (a collection that also includes a cover-less #2). 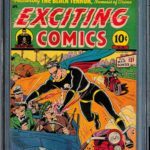 With an on-sale date of October 17, 1942 it makes #2 Wonder Woman’s 11th appearance behind All-Star Comics #8, #11; Sensation Comics #1-#7 and Wonder Woman #1. Art by H.G. Peter.